We are proud to offer the perfect two day getaway for couples, mothers and daughters, father and sons, families, or a combination of all. Spring Spur is beautiful in every season in every way. 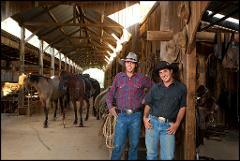 Friendly hosts, horses and staff. 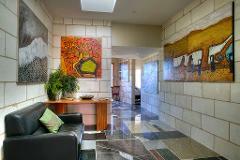 Spring Spur, your country home away from home. Summer: gleaming fit horses, salads, fresh mountain streams, lazy days, hammocks, veggie gardens, sunflowers and summer shade. Autumn: Kiewa valley and gardens coloured with golds and reds of deciduous trees, coloured barks falling of mountain ash, snow gum trunk glowing shades of greens, orange and greys. Cockatoos descending their mountain nests, filling the skies with their screeching calls. Wooly horses growing warm coats, fresh morning walks and steaming tea. Fabulous rides starting cold and peeling layers as you ride. Winter: Sparkling frosts, snow covered mountain views. Winter rides, horses keen warming their bones, gloves, boots and wooly coats. Hearty roast dinners and the warmth of the ’Ned Kelly’ fire. Glue vine wine, records, books and warm sleeps. Hearty breakfast, eggs and bacon beans or porridge and pears. Spring: blooming gardens of jasmine, roses and budding fruit trees. Horses grazing rich clovers and ryes, shedding winter coats revealing a gleaming summer fur. 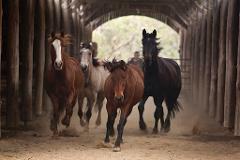 Frolicking new born foals and buzzing bees, the yards are busy horses trained. 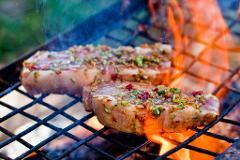 So whatever season you choose you stay at Spring Spur, you can be assured of fabulous varied experiences. Natural horsemanship is a part of our everyday practice with our horse handling but we can run lessons specific to children and incorporating grooming saddling and basic health care for the beginner horse rider. Ask us to help build your itinerary. We have many professionals in the area that can run workshops here in horsemanship, yoga, art classes, even cooking classes. The Baird Family have been running award winning trail rides and packhorse expeditions since 1986 and have recently completed Spring Spur Stay to accommodate our riding guests. We are committed to hospitality ensuring you feel welcome and rewarded. 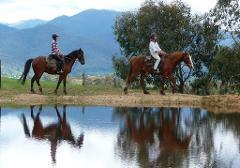 Our Spring Spur Australian Stock Stud has been producing quality horses since 1989. All horses are trained using natural horsemanship philosophies, and are a pleasure to ride no matter how experienced you are, horses are matched to each riders ability and the horses' horse-an-ality. Spring Spurs’ hosted accommodation features bright spacious rooms with en-suites, quiet private corners with beautiful views and gardens. Spring Spur Stay is designed using passive solar principals, maintaining a clean bright and modern building but reflecting its High Country integrity in its design. 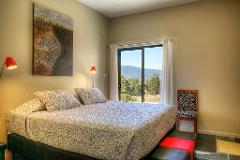 Our guests can immerse themselves into the High Country experience at whatever level of adventure they choose returning to the comforts of Spring Spur Stay overlooking Mount Feathertop, Mt Bogong summit and surrounding mountains. Our meals are prepared and cooked using locally sourced produce and our own vegetables grown organically from heritage seeds, but most importantly cooked with passion and flair. 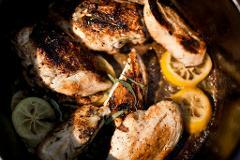 We cater for various dietary needs including gluten free, vegan and vegetarians. 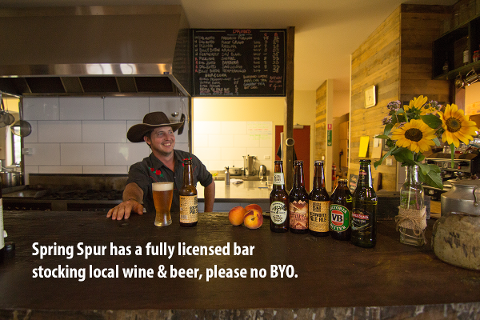 Spring Spur is fully licensed premise featuring a selection of hand crafted local wine and beers, we do not allow BYO.